It's hard to forget that before Breaking Bad, Bryan Cranston played other characters. Sure, he was that wacky dad on Malcolm in the Middle and it was great, but Cranston will always be Walter White (and I guess, Lyndon B. Johnson to Broadway buffs). 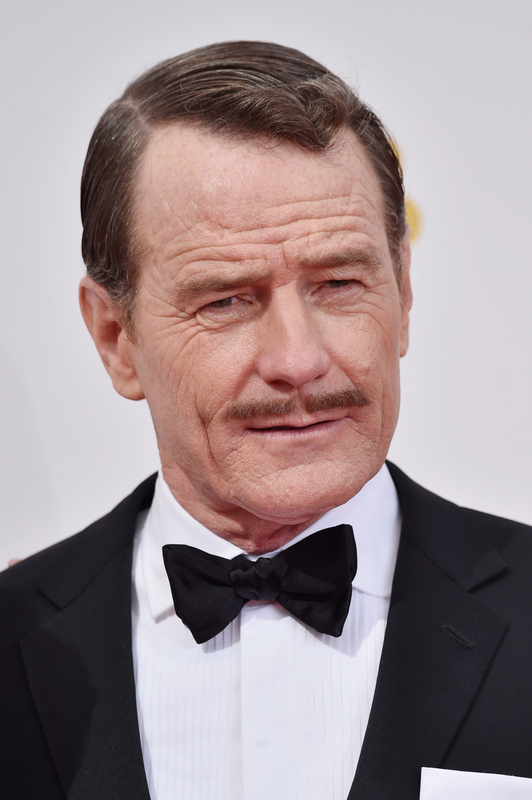 However, at the 2014 Emmys, Cranston made sure to remind us of another classic character: Tim Whatley from Seinfeld . Seinfeld fans and Cranston obsessives will remember Tim Whatley as Jerry's dentist and — as his presenting cohort reminded us right before he frenched her to jog her memory — they guy who converted to Judaism "for the jokes." And that's exactly what Tim is memorable for. The episode in which Tim "Dentist to the Stars" Whatley converts to Judaism and irks Jerry, who is completely convinced that Tim converted just so he could make Jewish jokes. And thus, Kramer's brand-new term "anti-dentite" is born when Jerry tells a joke about dentists and insults Tim. "You have no idea what my people have been through," he tells Jerry, talking about the "oppressed" upper middle class world of dentistry. Oh the humanity. Of course, there was also that time that he dated Elaine on and off, hence Cranston's last-minute make-out with JLD when she won her Emmy, which may have been my favorite Emmy moment all night.